"Education makes a people impossible to enslave." Like a young girl caught by surprise on a well-worn village path, Guatemala is small and beguiling, with a soul more profound than that of many larger and more powerful countries. But, having seen her cultures assaulted by centuries of greed, violence and exploitation, she stares back at the rest of the world with hopeful, yet suspicious eyes. In the rural villages of Guatemala, her people struggle against extreme poverty, malnutrition, discrimination and environmental degradation, while at the same time being enveloped by the encroaching forces of globalization and technology. At Avivara, we believe passionately that education is a fundamental pathway out of poverty. We also see it as a means for achieving greater social equality and integrating the dignity and traditions of Guatemala's indigenous cultures with the ever-changing wider world. As you browse through our website, you will soon realize it is not inhabited by the latest "glitzy" promotional videos, but is rather a little bit stodgy and old-fashioned, and filled with information that would be of interest to the serious donor who wants to know more about our history, structure, policies and financial operations. 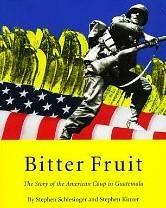 However, it does have a lot of great pictures of life in Guatemala. 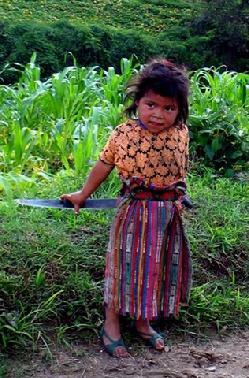 To improve the quality of, and access to, education in rural poverty-impacted villages in Guatemala. Testimonial from Stephen Schlesinger for the work being done by Avivara in Guatemala. 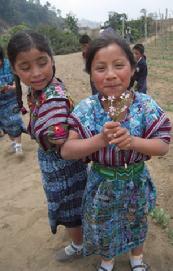 "I am impressed by the actions Avivara is taking to improve rural schools in Guatemala. It is a small organization making a big difference, and has already gone a long ways toward alleviating many deficiencies in the countryside schools. I commend Avivara on its commitment to, caring for and perseverance with the education of children in the indigenous communities of Guatemala." Please go to our Donate page to learn how you can join with Stephen and others in supporting the work of Avivara. It has come to our attention that emails from an unknown source have been sending out SPAM emails that appear to be coming from avivara.org. These are often caught by the SPAM filters used by most email providers, but occasionally they do make it into people's mailboxes. We are very sorry for any annoyance this may have caused folks. We have tried to correct the problem, but our email provider has indicated there is nothing we can do to stop these emails from being sent. (Spammers can disguise their emails to be coming from an alias that appears to be a real person/email account.) To our donors and other people that we do legitimately communicate with via email, the email will have a subject line that clearly relates to our newsletter, other correspondence we have had with you in the past, or to a thank you and confirmation of a donation we have received from you. Again, our apologies to any person who has received one of these SPAM/Spoofing emails. Thank you to all who have donated to Avivara. On behalf of the teachers and children in Guatemala, we very much appreciate your caring and support. Sign up to receive our newsletter, The Blackboard.